Well actually, I was afraid of Haatchi. Apparently he doesn’t like any other dogs near his territory, and he’s BIG!!! So no messing around him for me. 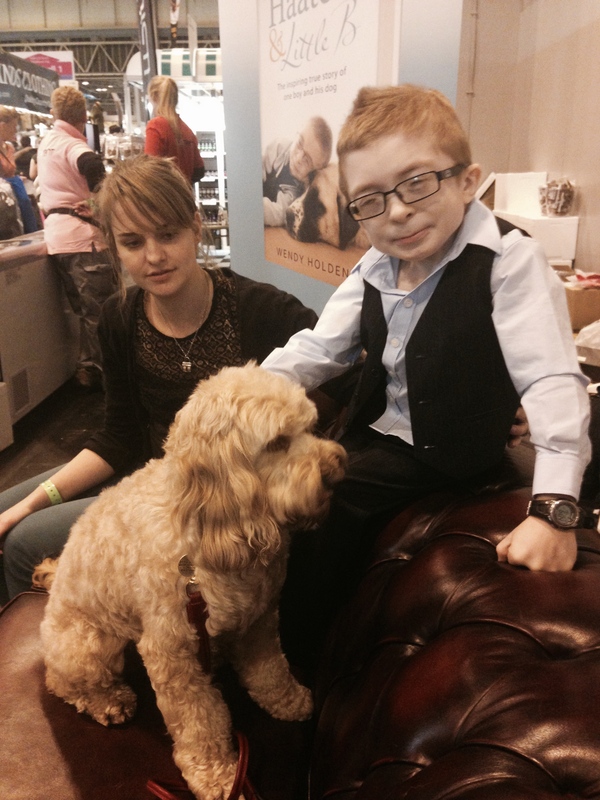 But I’ve met Owen before at Discover Dogs. He said hello and was happy to take a photo with me. 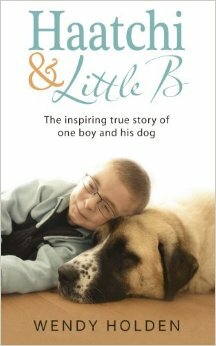 Haatchi and Owen are at Crufts this year to promote their new book “Haatchi & little b” – a story of their friendship … a boy who felt he had to be as brave as his dog, taking his medicines and eating the right food, just as Haatchi did. 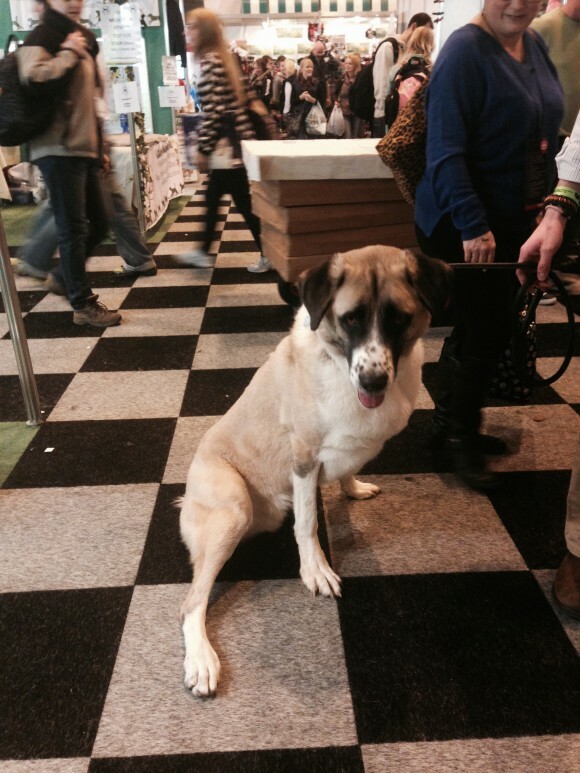 May’s comment: Haatchi was the winner for Crufts 2013 Friends for Life Competition. “Haatchi an Anatolian Shepherd dog, had a severely damaged leg and tail amputated after being deliberately tied to a railway line in London and struck by a train. Just a month after his near death experience he was found on Facebook by the family of seven year old Owen Howkins, who has a rare genetic condition called Schwartz Jampel Syndrome, which causes his muscles to be permanently tense.